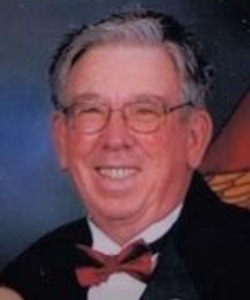 Bernard "Bernie" M. Egan, age 80, of Pickett, died January 31, 2019. He was born October 23, 1938, in the town of Rushford to the late Gerald and Mary Alice (Lee) Egan. Bernie was a graduate of Omro High School and the UW-Madison Agricultural Short Course. He served his country in the U.S. Air Force as an Airman Second Class and was honorably discharged in 1961. On February 23, 1963, he married Diane Stanton at St. John the Baptist Catholic Church in Princeton. He was a member of St. Jude the Apostle Catholic Church in Oshkosh. For 10 years Bernie worked as a Field Supervisor for Green Giant Canning Co. in Ripon, before going to work for International Mineral & Chemical Corp (IMC). He remained with IMC for 20 years, first as Plant Manager in Eldorado, WI and then as Account Executive, servicing customers throughout Wisconsin. Bernie served his community in many ways including: Winnebago County Board Supervisor; Town of Utica Chairman; Rush Lake Restoration Project Chairman; Waukau's 1996 Sesquicentennial Committee Chairman; Fireman with the Utica Volunteer Fire Department; and active member of the Waukau Youth Center. Bernie was Chairman and board member of the Wisconsin Fertilizer & Chemical Association and was awarded an Honorary Chapter Farmer of the FFA. He was also a member of the American Legion Daugherty-Hamilton Post 234 in Omro, WI. As a teenager he was the second president of the Waukau Flying Mane Horse Club, the longest standing horse club in Wisconsin. Bernie loved researching local and family history, writing several books on these topics. He produced many historical picture displays of local towns, buildings, baseball teams, and class room students and teachers. These displays can be seen around the community. He spent the last few years collecting and restoring antique horse-drawn carriages and sleighs, sharing his collection in parades throughout the area. Bernie also enjoyed golfing, gardening, woodworking, and traveling. He especially looked forward to the annual hunting trek to Lusk, WY with the guys. Bernie is survived by his wife of 55 years, Diane Egan, of Pickett; daughters, Patricia Egan (Monte) and her children, Oliver Egan Soler and Eliette Egan Soler, of Madison; Colleen (Richard) Schroeder, of Markesan, and their daughter, Emily (Jon) Stogbauer, of Oshkosh; son, Lt. Col. Timothy B. Egan USMC (Jane) currently stationed in Georgia, and her sons, Brandon, Marshall, and Bradley, of North Carolina; brother, Thomas (Lynn) Egan, of Omro; sister, Donna (Kenneth) Weitz, of Neshkoro; and out of state sisters-in-law and brothers-in-law. He is further survived by many loving nieces, nephews, and cousins. Bernie was preceded in death by his parents; his parents-in-law, JD and Dolores Stanton; brothers, Lawrence Gerald and Lea Edward; brother-in-law, Daniel Stanton; sisters-in-law, Mollie Stanton and Paulette Egan. A visitation for family and friends will be on Tuesday, February 5, 2019, from 3:00 to 7:00 p.m. at St. Jude the Apostle Catholic Church (St. Vincent Site) 1225 Oregon St. Oshkosh. Visitation will continue on Wednesday, February 6 from 10:00 to 11:00 a.m. at the church. A funeral Mass will be held on Wednesday at 11:00 a.m. at the church with Fr. Louis Golamari officiating. Burial with military honors will be in the Omro Cemetery. In Bernie's name, a memorial scholarship has been established for an Omro High School graduate who wants to major in an agriculture-related field. Scholarship donations may be sent to the "Bernie Egan Memorial Scholarship" at the Oshkosh Area Community Foundation 230 Ohio St., Suite 100 Oshkosh, WI 54902-9905 or made online at info@oshkoshareacf.org. Donations will be tax deductible. The family wishes to thank family, friends, and neighbors who sent cards and letters, brought in food, stopped in for visits, and offered prayers and support. Bernie specifically wanted to thank Dr. Karen Gremminger for her excellent care and friendship over the past 15 years, and Sister Sylvia Egan for leading the rosary and bringing him Holy Communion. Also, many thanks to Mercy Medical Center staff, Fresenius Kidney Care, and SouthernCare Hospice of Fond du Lac, especially Melissa, RN; Sydney, MSW; Laurie, CNA; and Chaplain Kevin. If you wish, please submit online condolences to muellerfuneralhomeinc.com. Know that you all are raised in prayer. Bernie will live in our hearts because of his kindness and thoughtfulness. He was such a precious friend and blessed neighbor to Muns, in particular. We will always remember his buggy parades and timely offer to spray dandelions. He was a powerful, but quiet and self effacing leader of our Utica neighborhood. I'm so sorry that I'm unable to be with you today. Diane, our condolences to you and your family. We didn't realize he had been having serious health issues. His smile and pleasant personality will sorely be missed. May your tears wash away your grief and God grant you His comfort. Diana and family, I'm sorry for your loss. Bernie was a special friend and classmate, he will be missed by us all. We are in South Mississippi for the winter and won't be able to make the funeral. Our deepest sympathy to the family. Bernie will be missed. Our families go back A LOT of years. So sorry for your losss. Our thoughts & prayers are with you.